Planet Coaster is clearly a game that’s going to thrive on community creations, so it comes of no surprise that developer Frontier have announced that the game will use the Steam Workshop to support the sharing of player-generated content. Start getting excited for the biggest upcoming PC games in 2016. 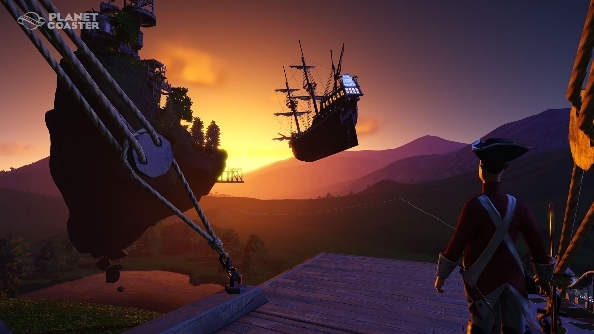 “Steam and Steam Workshop will form the backbone of Planet Coaster’s in-game community and sharing features starting with the launch of Planet Coaster Alpha 3 on 23 August,” said Frontier in a statement. Currently in alpha, players who have already pre-ordered Planet Coaster may have been playing the early access version of the game in its own standalone client. Anyone who has purchased the game from the FrontierStore.net website will recieve a Steam key at the game’s launch, as the Valve-run client will be mandatory for the full game. For those using the alpha, the third phase will require Steam from when it launches on August 23, in order to make use of the Workshop. If you’d like to be part of the alpha you’ll need to buy from the FrontierStore before August 25 (when ordering will be transferred to Steam) as any orders taken after this date will not grant alpha access. If you miss the alpha period, or are just happy to wait until launch, Planet Coaster will release in Q4 2016. Pre-orders for Planet Coaster will begin on Steam starting August 25.